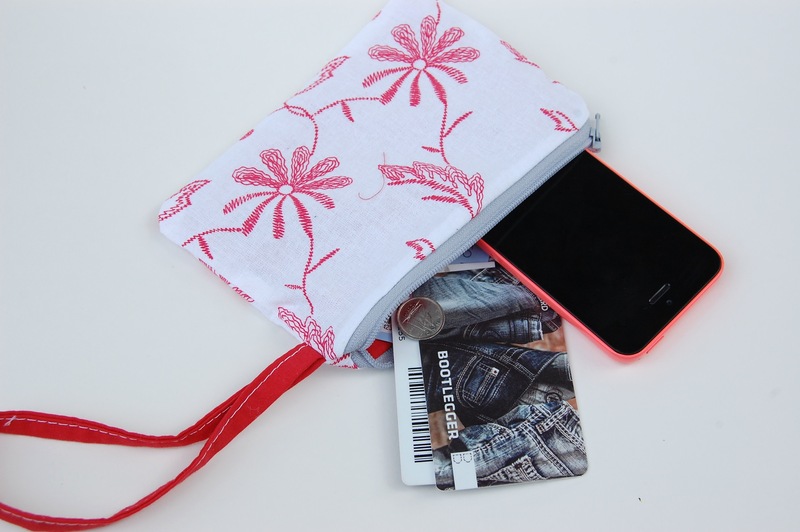 I’ve been making some cute little clutches and zipper pouches lately. Small projects that keep my attention while its hot outside. I’ve made a bunch of them. They’re fun and use up some of the many zippers I still have. Some are even quilted a bit, like this one with the birds. 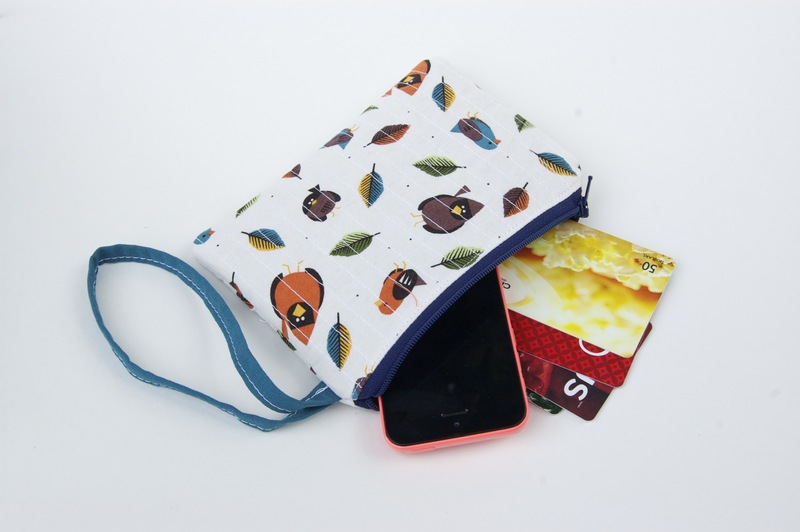 I love the birds fabric. 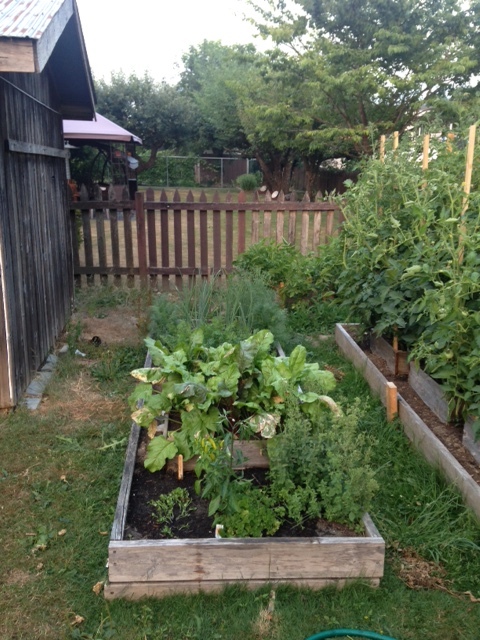 Look how crazy the garden is! 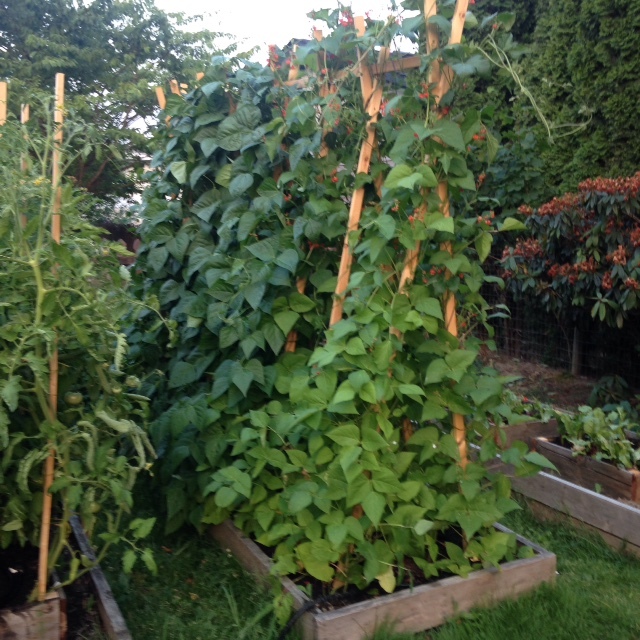 Those beans, they are 8 feet tall, and are getting too tall for the posts. Crazy beans. Its that time. 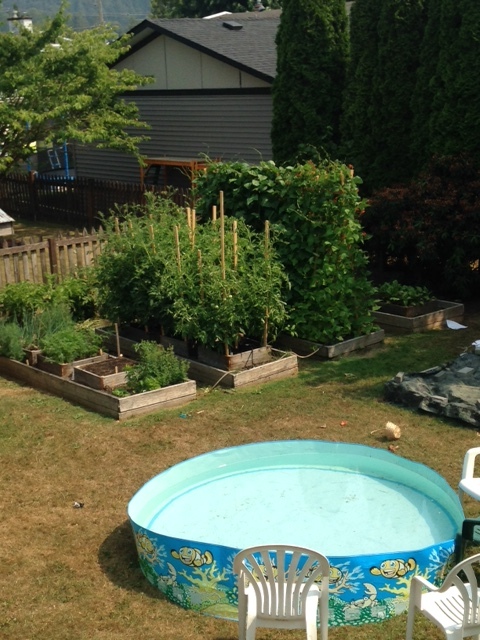 Time to update you all on whats going on in the garden. 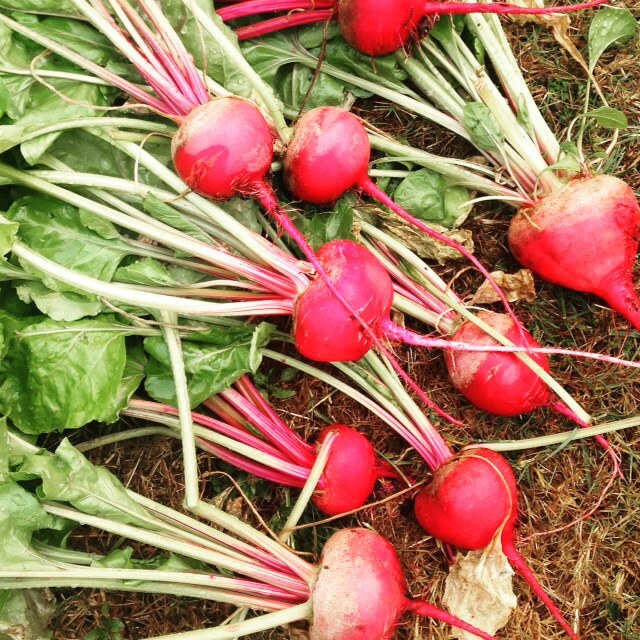 First, we harvested the beets just after I took this picture. They were getting huge. My massive beets. 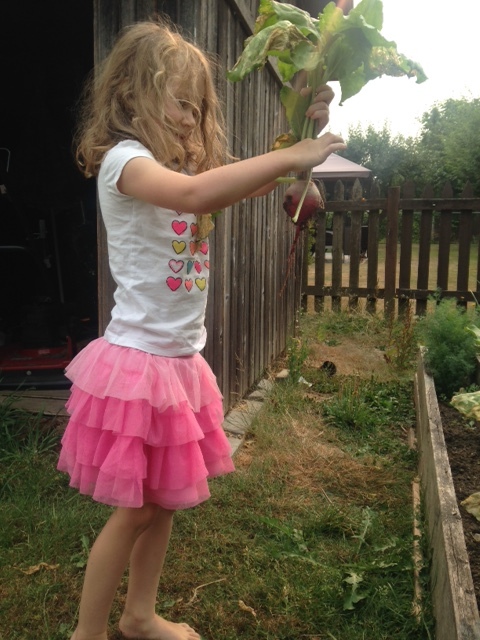 This girl couldn’t wait to pull out the beets with me. She hardly ate any when we cooked them. I could really care less because they were so sweet and delicious that I didn’t want to share. 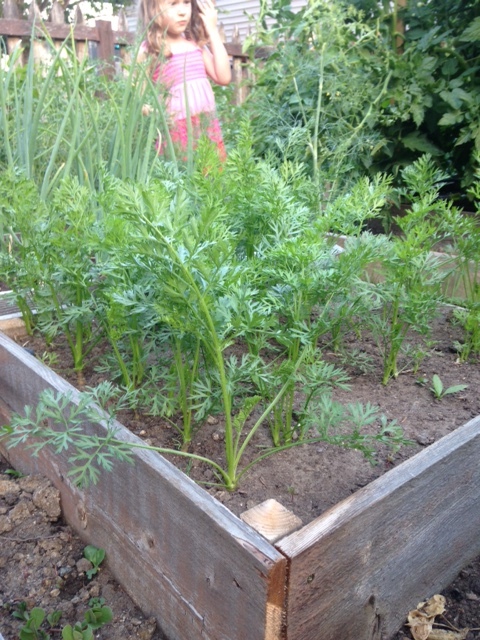 The carrots are doing well. The kids constantly ask for me to pull just one up, but no, not yet. 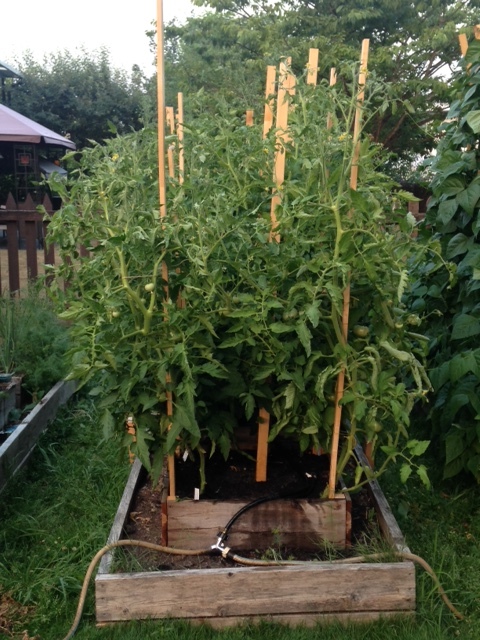 Um, so when do tomato plants grow 8 feet tall? These guys are massive. I’m in there pruning the suckers every day. These last couple days we’ve been seeing the tomatoes turn red. Exciting times! Hello crazy beans. A little blurry, I took these using my phone this time and was rushed. Its hot out, and I hate being out longer than I need to. The first 2 boxes are more beets, and the third is some rainbow chard that we are going to cook a bit of tonight. Training these guys to grow up the strings was an excellent idea. 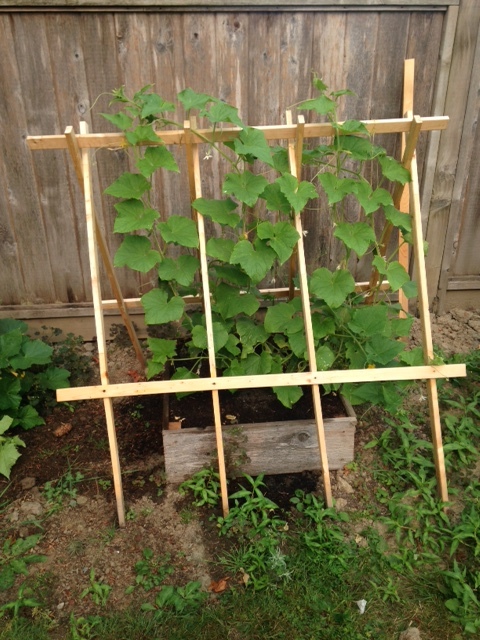 It was so easy to pick the cucumbers. 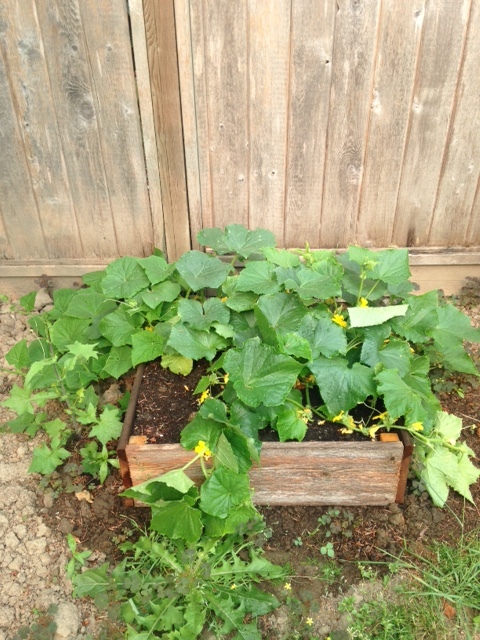 Stupid pokey cucumbers. 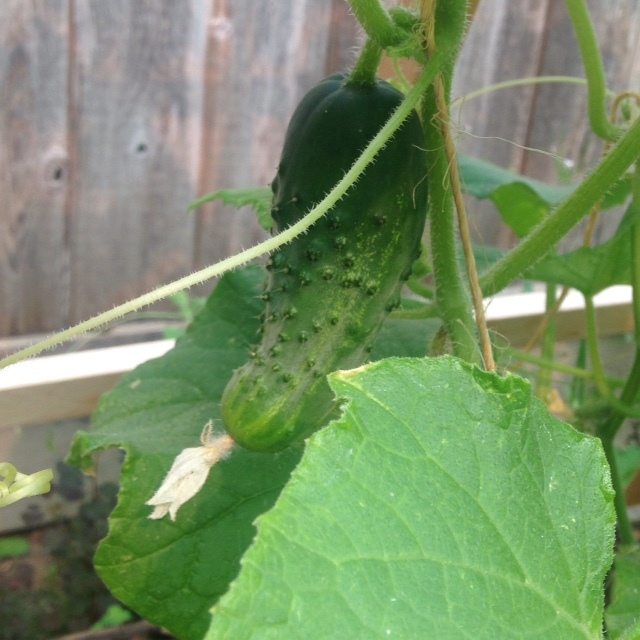 Should have had this guy do the same as the other cucumber, but meh, oh well. Crazy potatoes. I can’t even see the boxes that they’re in right now. So, thats it for now. I promise quality pictures next time.